One of (if not the) most inane forum games ever created, devoid of all creativity and productivity and yet insanely, widely popular is 'The Last Poster Wins'. 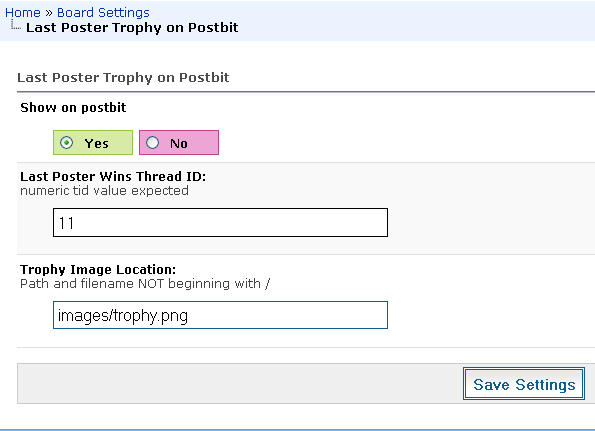 Almost every forum has some version of it and I thought I might make a simple little plugin to display a trophy on the postbit of the user in your forum that currently has the last post in your forum's version of 'The Last Poster Wins' thread. Obviously only useful for forums that have a thread like this, it can be customized to allow a different trophy image and the tid of thread must be entered before the trophy image will display. 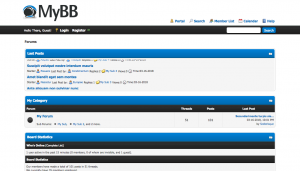 Copy all the files in the Upload directory to your forum's root directory. 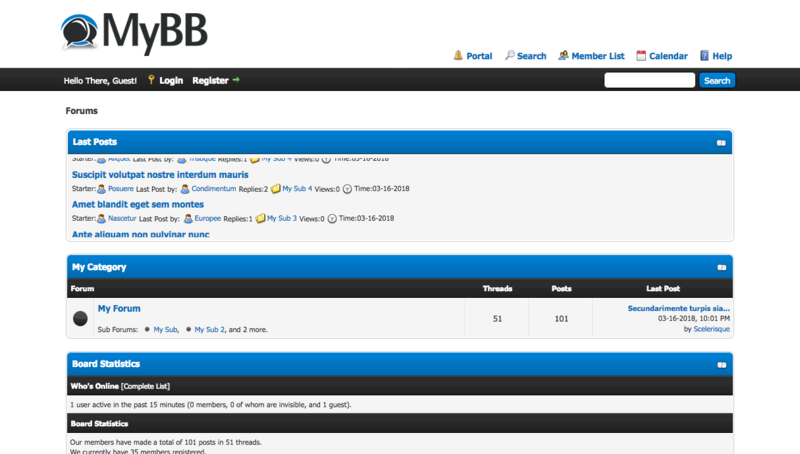 Copy a trophy image to the images directory of your forum. 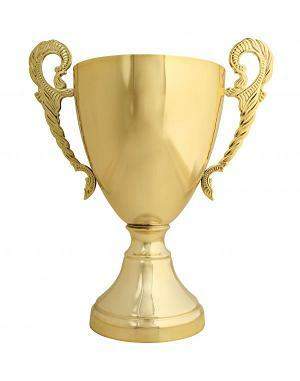 Some sample trophies are provided. Uninstall the plugin and remove all files.